Deutsche Bank refused to hand over information on its business dealings with President Trump following a request from Democratic members of Congress. The Department of Justice is currently investigating the German lender for allegedly helping Russian oligarchs launder money. 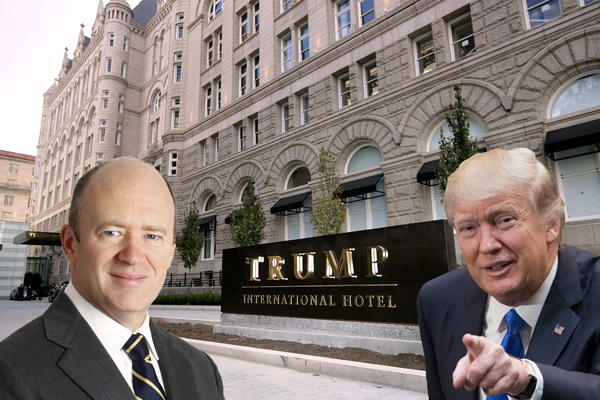 At the same time the bank has been a key lender to Donald Trump’s real estate business, issuing around $300 million in loans on his hotels and golf courses over the past couple of years. Democratic lawmakers argued that his poses a conflict of interest. “President Trump’s conflict of interest with Deutsche Bank…may undermine the independence and impartiality of the Department’s ongoing investigation and diminish the likelihood that Deutsche Bank and its senior leadership will be brought to justice,” the lawmakers wrote in March. As the minority party in Congress, Democrats can’t force the bank to reveal information.